Center Street School has been named a California Green Ribbon School. PTA president, Tracey Miller-Zarneke and our principal, Ms. Monahan, accepted our Bronze Level award from State Superintendent of Instruction Tom Torlakson at a statewide event. 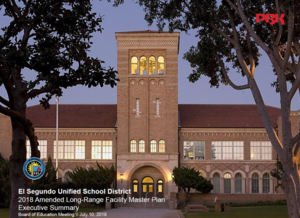 Changes that we have made to our practices, including: recycling, composting, eliminating single use water bottles, planting drought tolerant gardens, encouraging walking to school and trash free lunches all contributed to our eligibility for this award. Only 17 public schools in California received the CA Green Ribbon School Award - so we feel very proud of our accomplishment. Our Green Team and all of the ecologically minded faculty, parents and staff continue to build earth consciousness in the next generation of citizens of our planet. All first place entries have been forwarded on to El Segundo Council for recognition. We are so proud of these talented Cougars! Congratulations to these talented artists – and thank you to the El Segundo Rotary Club and the Firefighters for the opportunity. Calling all readers! We hope you will participate in our first annual Literacy Lanterns! 1. Choose a favorite book character. 2. Pick out a perfect pumpkin. 3. Decorate your pumpkin to look like that favorite character. 4. 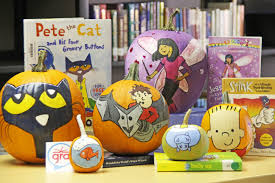 Bring your pumpkin to the CSS Library between October 3rd and October 26th. 5. Include an index card, attached to your pumpkin, with your first and last name, grade and teacher. All Literacy Lanterns will be displayed in the CSS Library during the month of October. Winners will be chosen to help lead the Halloween Parade on October 31st, here at CSS! We are looking forward to hosting parents for our annual CSS Back to School Night this Thursday. Your child’s teacher has a wealth of information to share with you about the school year ahead. Please join us in the Cougar Cafe (cafeteria) prior to going to your child’s classroom. Although there are very few times when our students are not included at CSS, please note that this is an adults only event. We do not have any supervision available and ask that you do not allow your children to be on campus alone. Thank you for supporting us in keeping our students safe. TK and Kindergarten: Parents and students attend class for an orientation from 9:00am-10:00am only. TK/Kinder students’ “official” full day will be Thursday, August 30th. Prior to our Back to School Night (Thursday, September 13), our youngest Cougars are all on Early Bird schedule as our teachers determine which groups of children will work best together to optimize small group instruction. Please join the PTA for Coffee on the Quad from 8:30-10:30 am tomorrow morning to catch up with old friends and make new ones.